He was clenching his fists, shaking with rage. His brows were furrowed, his face was red, his whole body sent off one message – he was angry. However, he could not tell me WHY. My son had been struggling with controlling his temper for years. No therapy techniques, special topic books, breathing exercises, diets, oils, or punishments had worked to quell this fountain of rage that seemed to overflow without notice. “Try to help head off the explosion before he reaches his boiling point,” I heard most often. A useless bit of advice when there was no crescendo, no discernable path he was taking towards anger, only sudden bursts, and never, ever predictable. We could not anticipate his rage and he could not figure out just what made him so angry. Finally — eventually — we found the answer. Increased heart rate, fight-or-flight response engaged, flushed face, tense body – he wasn’t angry, he was anxious. His body was in a constant state of fear, coiled, ready to respond and react to whatever trigger came his way. He was poised for a fight at all times not because he was mad, but because he was afraid, overwhelmed. Like an injured dog in the corner, his body was telling him that something was wrong and he was instinctively protecting himself by fighting his way out of every situation that might threaten him. As a society, we often associate anxiety solely with worry. We imagine an anxious person fretting, sweating, stewing, stressing, wide-eyed and panic-stricken. We see a child with anger, outbursts, fits of crying, a child who yells, throws, kicks, runs, hides, and anxiety is not what comes to mind. We blame the parents, we blame the electronics, we blame the moon, but we rarely blame anxiety. Even with much formal education and a degree in counseling, I had missed it, had misinterpreted his anxiety and anger. Simply put, anxiety does not always look the way we think it does in children. 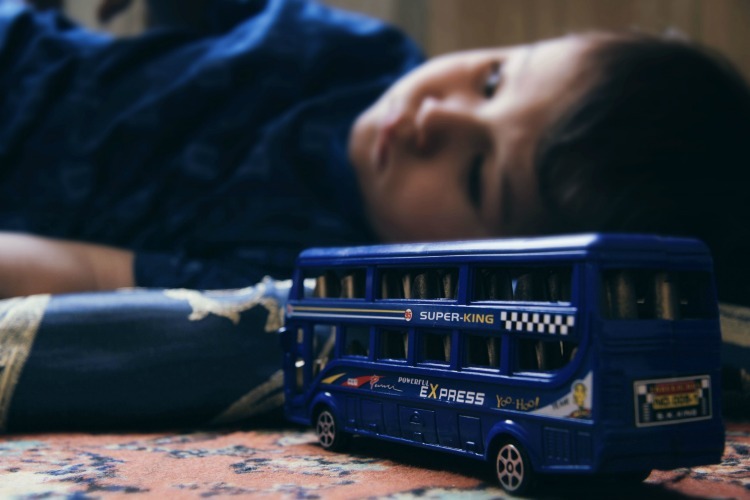 When we limit the experience of anxiety to only what can be seen and combine that with the limit of emotions children are aware of, it is a recipe for the perfect storm. 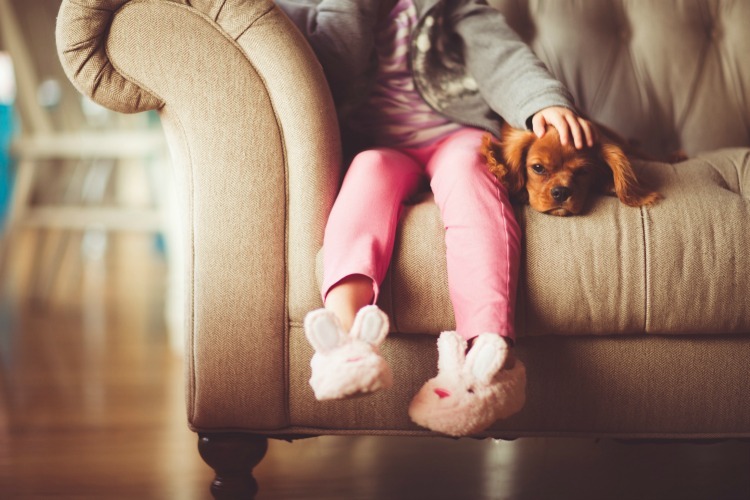 Generally, children don’t recognize anxiety when they’re experiencing it. Like learning primary colors first, children are only aware of a handful of emotions they can experience. Happy, sad, afraid, angry, excited. Their emotional experiences are painted with these primary feelings, leaving them with only a few options to choose from. Imagine if you were to attempt recreating Monet’s Water Lilies or the entirety of The Creation of Man with only a 5-color palette. How moving would we find Starry Night if Van Gogh had only used a few shades? Children are as widely and vividly emotional as adults, yet they often can only name a few feelings. When his body sensed danger and told him to fight, my son, not knowing what else to call it, interpreted that as anger. It was the best he could do with the tools he had. He was asked to paint an experience he didn’t have the colors for, and it all got lost in translation. Functional MRI studies have given us incredible insight with regard to the brain and experiencing emotions, including the ability to see which areas of the brain experience and process certain emotions. Individuals inside the machines were made to feel fear, sadness, disgust, anger, anxiety, the whole range of human emotions, and researchers were able to pinpoint the specific part of the brain that lit up with activity as they dealt with their feelings. Later, as people were again experiencing these emotions inside the MRI, they were told to identify them, either by reading the emotion on a card or naming the emotion by saying it out loud. As soon as the emotion was identified, multiple areas of the brain lit up. More of the brain was able to take over the processing of these emotions, making them more manageable, less intense, the impact less overwhelming, because the brain was processing them in a collaborative effort as opposed to simply reacting. It’s not difficult to see how beneficial simply identifying our emotions can be. Once we know what we’re feeling, we can become bigger than the emotion. Once our kids can identify what they’re experiencing, they won’t be so scared of it. The feelings won’t terrify them because they will know what they are, and will be that much more equipped to cope with them. Simply recognizing that the vigilance and tension he’s feeling are actually anxiety have helped my son to let go of some of the anger and fear he’d been using in an attempt to cope with the overwhelming feelings he didn’t understand. Gifted children, especially, have a tremendous ability to imagine possibilities, both good and bad. The same wiring that allows them to escape in dream also traps them in nightmares. When a gifted child experiences anxiety, particularly without recognizing it as anxiety, they can spiral quickly. It takes them little effort to imagine that these surges of fear mean death and danger are imminent. The intensity in emotions they already experience – especially with anger and anxiety – are just gasoline on the fire. They are met with sudden, deep, terrifying sensations in their bodies and can only assume the worst if they have no idea what is causing them. Identifying anxiety, calling it what it is, allows for that split second before explosion to contain and control their reaction. Put simply, you name it to tame it. “I’m having a lot of anxiety,” my son says between deep breaths. His fists are still clenched, his body is still tense. His shoulders are raised to being nearly level with his ears, rigid. Anxiety is still a struggle. Identification is not a cure, but it is an invaluable tool. Crowds, heights, breakable objects… we’ve been able to learn some of the situations that trigger the most anxious feelings he experiences. Identifying his emotions, identifying his triggers, and being able to talk about what’s happening with his body has given him a sense of control he’s never had before, has educated him and equipped him to be able to tell the difference between anger and anxiety. He is not as overwhelmed as the chemical reactions in his brain are not so concentrated in one area. His body relaxes as he processes, and we make it through with few explosions. Rather than crouching in the corner not knowing if or when this feeling of danger will subside, he breathes and knows it is temporary, knows that while he does not feel okay, he will, at some point, be okay. 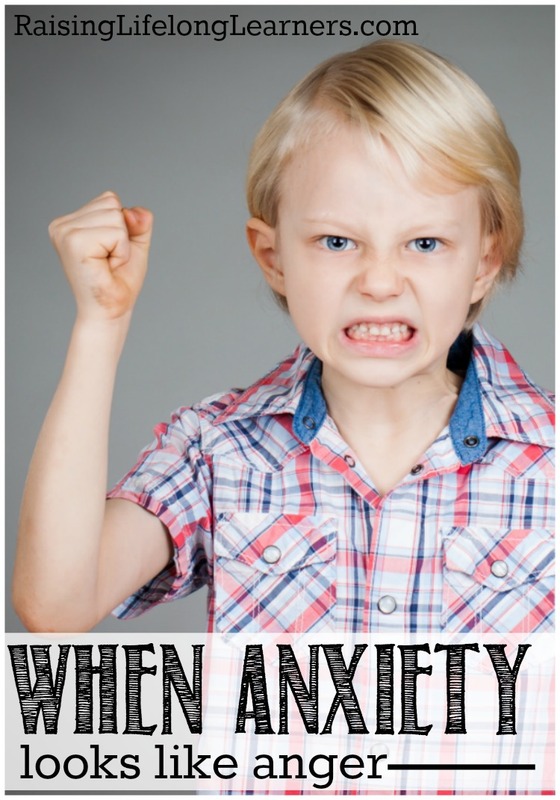 What are some ways anxiety presents in your kids? Have you found ways to help them through it? Share in the comments — we’re all better together. Want to talk more about anxiety and the gifted/twice-exceptional kiddo? Colleen is speaking on the topic at all five of the 2018 Great Homeschool Conventions — grab your tickets and make arrangements to come listen, learn, and then connect afterwards while she hangs out in the exhibit hall JUST to talk to moms and dads of differently-wired kids. Jennifer is married to the very handsome man she's loved half her life, with whom she juggles 3 hilarious, quirky, sometimes-difficult-but-always-worth-the-work kids. She is passionate about people and 90's pop culture, can't go a week without TexMex, and maintains the controversial belief that Han shot first. She holds degrees in counseling and general ministries, writes at This Undeserved Life, and can often be found staying up too late but rarely found folding laundry.